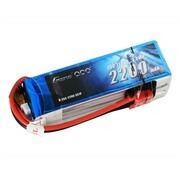 "These 2200mAh 3S Lipo batteries are really great! Keep in mind that the 25C version of these batteries has a slightly thinner gauge of wire. 14 gauge vs. 12 gauge found on the 30C version of the pack." Gens Ace 2200mAh 3S Lipo is a 11.1V 2200mAh lipo battery, we also called it another name-2200mAh 11.1v Lipo battery. 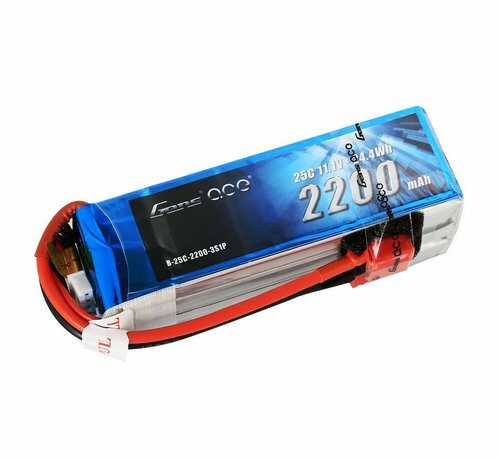 These 2200mAh 3S Lipo batteries provide high quality, reliable power for 450 size helicopter,Glider and EPP, Skylark M4-FPV250, Mini Shredder 200, Vortex, Emax Nighthawk 250, 400mm X-Sled, etc. Gens Ace 2200mAh 11.1V Lipo battery is one of the top rank battery corporations with deep research and manufacturing on NIMH, LI-PO, LI-FE by the effort of 200 professional engineers and technicians with 20 years exquisite battery technology. The Gens Ace brand holds the traditional concept of "excellent quality", "Optimization"& "Priority" on Sales & Services. All batteries are tailored for various scales of the RC Models such as electronic cars, nitro cars, aero planes, vessels and also other models, toys, electric tools, electric bikes, electric autos, digital products etc.